This image released by Disney and Marvel Studios' shows Chadwick Boseman in a scene from "Black Panther," in theaters on Feb. 16, 2018. 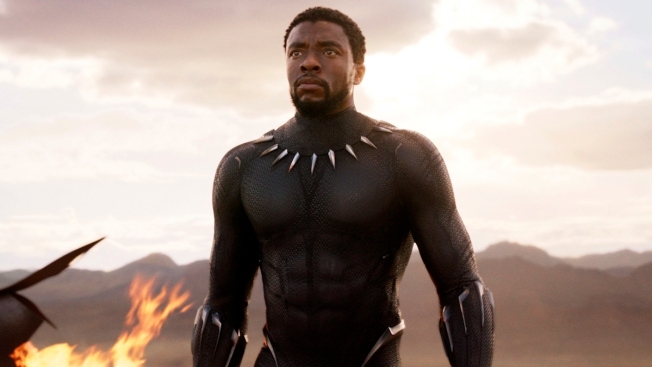 The pop culture sensation "Black Panther" has set another record: most tweeted about movie ever. Twitter said Tuesday that Ryan Coogler's box-office smash has been tweeted about more than 35 million times. That pushes it ahead of the previous record-holder, "Star Wars: The Force Awakens." The most recent "Star Wars" installment, "The Last Jedi," ranks third. Over the weekend, "Black Panther" became the first film since 2009's "Avatar" to top the box office in North America five straight weekends. It has grossed more than $607 million domestically and $1.2 billion worldwide. In the next week, it's expected to pass "The Avengers" as the highest grossing superhero film ever, not accounting for inflation. Twitter said "Black Panther" had the most tweets in the U.S., followed by the United Kingdom and Thailand.